Generally speaking, in the United States we can consume water from the tap without risking our immediate health. However, as more and more hormones, chemicals and microplastics make it into our water systems (note: bottled water is no better), it can be wise to look at the long-term health effects and start filtering water at home. Enter: activated charcoal. Brita pitchers, fridge filters…most all water filters use activated charcoal as the technology of choice. Why? Well, at a base level, activated charcoal has properties that make it extremely absorbent, allowing it to bind to tiny molecules and remove them from the dissolved substance. 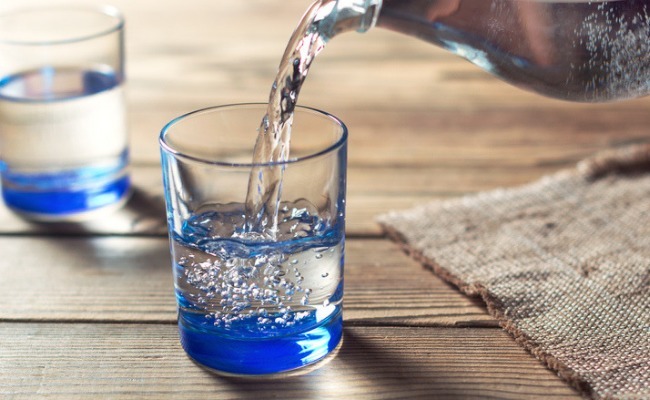 As a water filter, activated charcoal can absorb a range of drug particles, mercury, bacteria, viruses, fungus and chemicals found in the water. Here’s how to make your own for cheap! There are lots of ways to make a homemade activated charcoal filter, of which this is the simplest. Simply place an entire activated charcoal stick in a glass carafe full of tap water and let it sit for 4-6 hours. Don’t use a plastic jug. If you don’t have a glass container, stainless steel will work just as well. Charcoal sticks like these will last around 4 months or so. To maintain them, simply boil the stick in water for 10-15 minutes once a month and continue your filtering process as before. After its 4 months is up, simply compost it with your kitchen scraps or use it in the bottom of your closet as a deodorizer.